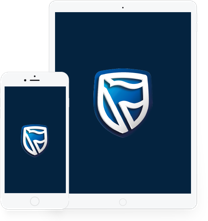 With a market cap of approximately R289 billion (USD20 billion) as at 31 December, Standard Bank offers a range of banking and related financial services across sub-Saharan Africa. For the period ended 30 June 2018 (1H18) group delivered headline earnings of R12.7 billion, up 5% on the prior period (1H17), and return on equity improved to 16.8% from 16.1% in 1H17. For the period ended 30 June 2018 (1H18) group delivered headline earnings of R12.7 billion, up 5% on the prior period (1H17), and return on equity improved to 16.8% from 16.1% in 1H17. The group’s capital position remained strong, with a common equity tier 1 (CET1) ratio of 13.8%. Accordingly, an interim dividend of 430 cents per share has been declared, an increase of 8% on the prior period. Banking activities headline earnings grew 6% to R11.7 billion driven by strong growth in non-interest revenue (NIR) and lower credit impairment charges, in Africa Regions in particular. Banking activities ROE improved to 17.5% from 16.8% in 1H17. The stronger South African Rand, on average, adversely impacted the group’s reported results. On a constant currency basis, group headline earnings increased by 8% boosted by Africa Regions which grew earnings 32%. Africa Regions’ contribution to banking headline earnings increased to 32% from 29% in 1H17. The top five contributors to Africa Regions’ headline earnings were Angola, Ghana, Mozambique, Nigeria and Uganda. Global growth has been less synchronised than previously expected. Key drivers were escalating trade tensions, rising oil prices and higher US yields. Global risk aversion led to increased volatility and emerging market (EM) currency pressures. In many of the sub-Saharan African countries in which we operate, inflation continued to ease, interest rates declined and exchange rates were relatively stable. One exception was Angola, where the managed devaluation of the currency resulted in a 23% decline in average AOA/USD period on period. In South Africa (SA), on average, the Rand was stronger, rates lower and inflation surprised on the downside. Consumer and business confidence improved but have not necessarily translated into higher spending or fixed investment. The VAT increase, tax bracket creep and higher fuel prices have all negatively impacted discretionary spending capacity. IFRS 9 became effective on 1 January 2018 and the group provided a transition report with its first quarter results for 2018. The day one impact of implementing IFRS 9’s expected credit loss impairment requirements included a 31% increase in balance sheet impairments from R22.4 billion to R29.4 billion, a R6.6 billion decline in group reserves and a 70 bps decline in the group’s CET1 ratio on a fully loaded basis. The CET1 impact will be phased in over three years. Banking activities achieved revenue growth of 4%, with strong NIR growth dampened by slower NII. NII was broadly flat driven by low loan growth and declining net interest margin (NIM). NIM declined from 460 bps to 450 bps as the impact of declines in interest rates in SA and various African countries and pressure on pricing was partially offset by retail deposits growing faster than wholesale, the Africa Regions’ portfolio growing faster than SA and lower funding costs. In addition, the impact of the earlier suspension of interest in accordance with IFRS 9 was negative 4 bps on NIM and approximately R280 million on NII. On a like-for-like basis, adjusting for the impact of interest in suspense (IIS), NII would have grown 2% compared to reported growth of 1%. NIR was up 8% on 1H17, with the largest component, net fee and commission revenue, up 6%. Trading revenue recovered to grow at 12% and other revenue by 9%. Growth in net fee and commission revenue was the result of volume-driven increases in card-based commissions, electronic banking fees and foreign currency service fees. Customers are increasingly adopting and transacting on our digital platforms as well as our non-cash, digital products, e.g. Instant Money and SnapScan. Strong growth in revenue was dampened by higher card merchant fees and UCount reward programme costs. Reported trading revenue grew 12%, while trading revenue on a constant currency basis grew 17%. On a constant currency basis fixed income and currency trading revenue grew 8%, driven by strong client activity. Equities revenue increased by R475 million, of which approximately 50% was trade related and 50% relates to the elimination, in terms of IFRS, of the impact of Standard Bank shares held by the group to facilitate client trading activities. Credit impairment charges were 22% lower than in the prior period, which combined with low growth in loans led to a group credit loss ratio of 70 bps, down from 96 bps in 1H17. In Personal & Business Banking (PBB), impairment charges declined 14% largely due to the earlier suspension of interest in accordance with IFRS 9 in SA and lower charges in Africa Regions. In SA, excluding the impact of IFRS 9, the credit charge would have been broadly flat period on period. Corporate & Investment Banking’s (CIB) impairment charges declined 70%, driven by Africa Regions recoveries. CIB charges are likely to normalise in the second half of 2018 (2H18). Operating expenses grew 6% period on period. The cost-to-income ratio for the period was 57.1%, an increase on 56.1% in the prior period. Staff costs were up 6%, driven by annual salary increases and higher deferred incentive charges (linked to the higher Standard Bank share price). Headcount declined overall, with decreases in PBB and CIB partially offset by additional heads in IT, Compliance, Marketing and Risk Management functions. Other operating expenses increased by 5%. IT costs increased 13% on the back of higher licensing fees, infrastructure spend and security costs. IT amortisation only grew 3% period on period; this is expected to accelerate in 2H18 as key projects completed in 1H18 start to be amortised. Tight cost control across various operational areas, for example premises, communication and stationary, provided the group with scope to invest in our core customer value proposition. During the period the group incurred additional spend in SA on professional fees related to the PBB customer journey project and on marketing to build on brand awareness both in SA and across Africa Regions. Both projects started in the second half of 2017 and therefore the impact is expected to be less marked over the full year. Gross loans and advances to customers grew 4% period on period, of which PBB’s advances to customers grew 6% and CIB’s by 1%. Within PBB, mortgage lending grew 3%. In SA, new applications received were down 4% reflective of the low level of activity in the SA housing market. Despite the subdued environment, PBB SA’s new business disbursements totalled R19.1 billion in the period. Vehicle and asset finance (VAF) lending grew 5%, driven primarily by strong new business volumes in SA. A 31% increase in new accounts, albeit at lower average values, led to a 22% increase in disbursements to R18.4 billion. The increases are a validation of the investments made in people, processes and structures to deliver a better customer experience. Credit card balances outstanding increased by 4% as customers utilised limits and transacted more. Other personal unsecured lending grew by 4%. Business lending grew by 16%, with PBB Africa Regions showing particularly strong growth at 21% on a constant currency basis. In CIB loans and advances supporting client activities showed growth in both Investment Banking of 6% and Transactional Products and Services of 12%. The overall growth rate of customer loans is masked by reduced short-term lending balances in Global Markets where surplus liquidity is placed mostly with non-bank financial institutions. Increased client lending requirements during the period therefore led to a switch in our utilisation of liquidity from Global Markets placements to client lending in Investment Banking and Transactional Products and Services. The group’s liquidity position remained strong with a second quarter average Basel III liquidity coverage ratio (LCR) of 121.3%, exceeding the minimum phased-in Basel III LCR requirement of 90%. The group’s net stable funding ratio was 123.1% in excess of the minimum Basel III requirement of 100%. The group successfully increased its longer term funding during 1H18, raising R13.9 billion through a combination of negotiable certificates of deposit, senior debt and syndicated loans. Deposits and debt funding from customers grew 4% period on period. The group’s retail deposits from PBB customers increased 9%. In South Africa, retail-priced deposits grew 6%, in Africa Regions 16% and in International 12%. CIB’s SA deposits declined 2%, whilst in Africa Regions customer deposits grew by 5% (9% in constant currency). The group allocates available capital pursuant to our strategic objectives and subject to appropriate return hurdles. In 1H18 the group completed the acquisition of an additional 11% in Stanbic IBTC Holdings in Nigeria, increasing the group’s shareholding to 64% and negatively impacting the group CET1 ratio by approximately 20 bps. In early July 2018, the group completed the acquisition of an additional 8% in Stanbic Holdings in Kenya, increasing the group’s shareholding to 68%. The impact of the transaction in Kenya on group CET1 in 2H18 will be negligible. Including the impact of the Nigeria transaction, the group maintained strong capital adequacy ratios. On an IFRS 9 phased-in basis, the CET1 ratio was 13.8% (1H17: 13.7%) and the total capital adequacy ratio was 16.2% (1H17: 16.2%). PBB’s headline earnings of R6.6 billion were 8% higher than the prior year, driven by customer-led growth in income, responsible cost management and lower credit impairment charges, most notably in Africa Regions. An ROE of 19.4% was achieved, a marked improvement on the 17.8% recorded in the prior period. PBB SA delivered a resilient performance in a sluggish operating environment, with headline earnings of R6.0 billion up 5%. PBB SA’s focus remains on delivering a consistently excellent customer experience, seamlessly across all touch points, with products relevant to their individual needs. This has necessitated continued investment in upskilling and empowering our customer facing staff and radically redesigning and digitising processes. Ensuring the safety of customers’ assets in a digital era is also an integral part of the overall customer experience, and investments made in digital fraud prevention yielded a pleasing 81% reduction in the number of digital fraud cases reported. Together, these investments have resulted in an overall increase in customer satisfaction scores and the number of active customers was maintained from FY17 at 8.1 million customers. This was supported by particularly pleasing growth in the larger middle market segment. Customers continued to indicate their preference for digital, rather than physical channels, with the number of active mobile banking users growing by 7%, and the number of transactions performed on this channel growing strongly by 58%. Total income grew by 4%, supported by increases in target customer segments. Despite increased spending on marketing campaigns and projects to develop solutions, which better service our customers, operating expense growth was contained at 6%. Credit impairment charges declined by 8% leading to a lower credit loss ratio of 122 bps (1H17: 137 bps). This was mainly attributable to IFRS 9 as discussed previously. PBB Africa Regions was impacted by the stronger Rand on average in 1H18 compared to 1H17. To reflect the underlying trends in this business, the commentary that follows refers to the constant currency growth rates of PBB Africa Regions. Headline earnings from PBB Africa Regions improved to R201 million from R91 million in the prior period. Gross customer loans expanded 15%, particularly in personal unsecured and business lending, and deposits from customers grew 15%, with pleasing balance growth of 18% in current and savings accounts. PBB Africa Regions’ result was underpinned by customer acquisition in key markets, with a focus on delivering digital solutions, and strong trade-related revenue in the Business Banking segment. In 1H18 the total number of active customers grew 4% to 5 million customers, driven by strong growth in Kenya, Ghana, Mozambique, Nigeria, Swaziland and Zimbabwe. Mobile and internet banking are available in all 14 countries in which PBB operates in Africa Regions. The number of transactions performed by customers on digital platforms far outstripped the number performed in physical channels. Approximately 24 million transactions were performed on mobile banking, up from approximately 11 million in 1H17. On the other hand, transactions performed in physical channels declined by 8%. NII grew 9%, benefiting from balance growth and improved pricing, despite the negative endowment impact of lower average interest rates in Nigeria, Mozambique, Malawi and Uganda. NIR grew 19%, driven by higher transactional volumes and the increase in the account base, coupled with strong trade-related revenue growth. PBB Africa Regions contributes approximately 47% of the Africa Regions legal entities’ total income. The credit loss ratio decreased to 145 bps from 264 bps in the prior year, driven predominantly by lower charges in Nigeria and Malawi. Assets under management in the Wealth business in Nigeria grew over the period, and we continued to focus on diversifying and growing the wealth business in Africa Regions, specifically the short-term and long-term brokerage businesses. Wealth International grew headline earnings by 31%. USD, GBP and EUR denominated customer deposit balances in our operations in the Isle of Man and Jersey grew to GBP5.1 billion (1H17: GBP4.9 billion). Margins expanded following interest rate increases in the US and UK. CIB’s headline earnings of R5.7 billion were up 8% on the prior period, and 13% on a constant currency basis. CIB’s strategic focus on developing proactive client partnerships that deliver relevant solutions, across sectors, regions and products, to drive Africa’s growth delivers diverse revenue streams and supports the sustainability of the franchise. Client revenues grew 9% (14% on a constant currency basis), demonstrating a strong and diversified franchise. CIB recorded strong performances from multinational corporates and large domestic clients in the Financial Institutions, Industrials and Consumer sectors, with an encouraging turn around in the Power & Infrastructure, Oil & Gas and Mining & Metals sectors. Reported revenue growth was slower at 4%, mainly as a result of the non-recurrence of trading revenues associated with the revaluation of the Nigeria Naira in the prior year. While cost growth was relatively well contained at 5%, when combined with low revenue growth it resulted in negative jaws of 1.5%. The credit loss ratio to customers improved materially to 3 bps due to recoveries of previously impaired loans. CIB delivered an ROE of 20.7%, slightly lower than the 21.3% recorded in 1H17. Due to the impact of currency on CIB’s results, the commentary that follows refers to the constant currency growth rates. Revenues in the CIB SA franchise grew by 8%, and in the Africa Regions franchise by 10%. The West Africa franchise grew revenues by more than 29%, reflecting growth in client deposits and transactional accounts. South & Central Africa continued to be a steady performer, delivering revenue growth of 9%. Following focused attention on client acquisition in East Africa, this region delivered strong revenue growth of 17%. Transactional Products and Services delivered a subdued set of results, with headline earnings down 2% on the prior period. Revenue growth of 6% was muted, dampened by margin compression in Nigeria and Angola. Credit impairments increased significantly following the recognition of impairments in the Construction sector in South Africa, to take account of economic strain. Global Markets delivered a stronger performance compared to 1H17, growing headline earnings by 8% to R2.1 billion. Equity and forex trading volumes in South Africa were low. However, fixed income trading improved as a result of lower interest rates and improved market sentiment. The more flexible forex regime in Nigeria continued to assist forex flows in Nigeria, and the managed devaluation of the Kwanza benefited forex trading in Angola. Investment Banking revenues were up 9%, reflecting fees earned on a number of landmark transactions and client activity in the Energy and Infrastructure sectors. Competition for high quality clients continued to place pressure on pricing and led to margin compression. As a result, NII was lower than the prior period. Credit impairments improved significantly following the recovery of previously impaired loans in the Africa Regions, despite recognising impairments to take account of stress in the Consumer sector in South Africa. This segment includes costs associated with corporate functions, as well as the group’s treasury and capital requirements and central hedging activities. Capital not allocated to the business units is held at the centre and a return is generated on that capital. The day one IFRS 9 reserve adjustment resulted in a R6.6 billion decline in that capital and a concomitant decline in the returns earned on that capital. In 1H18, the segment recorded a loss of R676 million. Excluding the IFRS 9 impact, the loss would have been R516 million. Other banking interests recorded headline earnings of R132 million, lower than the R212 million recorded in 1H17. The decline was driven by a disappointing performance in ICBC Standard Bank Plc (ICBCS). ICBCS’s revenue was negatively impacted by lower client flows and margins, which when combined with its fixed cost base, resulted in a loss for the period. The group’s 40% share thereof equated to a loss of R70 million. ICBCS will require additional capital to grow its balance sheet and become profitable on a sustainable basis. The group’s 40% contribution will equate to approximately $84 million and is expected to be provided in late 2018 or early 2019. The headline earnings contribution from the group’s 20% stake in ICBC Argentina grew 23% to R202 million, off a low base in 1H17. The Peso devaluation diluted a particularly strong local currency performance. On a constant currency basis, earnings were up 74%. The financial results reported are the consolidated results of the group’s 55.6% investment in Liberty, adjusted for SBK shares held by Liberty for the benefit of Liberty policyholders which are deemed to be treasury shares in the group’s consolidated accounts. Liberty’s normalised headline earnings for the period improved by 5% to R1.3 billion, supported by higher earnings from SA retail insurance and asset management. Liberty’s IFRS headline earnings, after the adjustments for the impact of the BEE preference share income and the Liberty Two Degrees listed Real Estate Investment Trust accounting mismatch, declined 1% to R1.5 billion. Investors are referred to the full Liberty announcement dated 2 August 2018 for further detail. Headline earnings attributable to the group, adjusted up by R12 million for the impact of the deemed treasury shares, were R857 million, 3% lower than in 1H17. Whilst the global growth outlook for 2018 and 2019 is unchanged at 3.9%, the underlying growth is expected to be less even. Relative to expectations earlier in the year, the International Monetary Fund is expecting the US to grow slightly faster and UK, Europe and EM slightly slower. The broadly supportive EM capital inflows seen in recent periods could reverse if US monetary tightening is faster than expected. This would negatively impact EM currencies and capital markets. Sub-Saharan Africa’s recovery is expected to continue on the back of higher commodity prices. Growth is estimated to increase from 2.8% in 2017 to 3.4% in 2018 and rise further to 3.8% in 2019. Within our portfolio, we expect the macros in the West region to continue to improve, supported by higher average oil prices and the East region to continue to deliver GDP growth of 5 to 6%. More specifically, Kenya’s credit growth could experience a recovery if the regulatory caps and floors, imposed in 2016, are amended or lifted. The South & Central region performance will be impacted by SA growth in 2H18. In South Africa, while consumer confidence has improved, delays in resolving key policy issues remain an obstacle to business confidence, fixed investment and growth. Inflation is expected to remain inside the 3% to 6% target range, supporting a flat interest rate outlook for the rest of the year. The group has appetite to grow lending judiciously in South Africa. There is no doubt competitive pressures will continue to increase, however, we will fiercely protect our existing customer franchise and grow by partnering with third parties to build new, innovative offerings and revenue streams. Our strategy is unchanged and actions being taken are positioning us to deliver contextually-relevant offerings to our customers, to compete effectively against both incumbents and new entrants and to grow our franchise in partnership with our clients, employees and business partners, in a sustainable way. With revenue pressures expected to continue, operating expenses will be a focus area for 2H18 to ensure better full year jaws. More broadly, we will continue to balance growth, resilience and returns to deliver on our medium-term objectives of sustainable growth in earnings and delivering an ROE in our 18% to 20% target range. The 1H18 results, including comparatives for 1H17, where applicable, together with any forward looking information have not been audited or independently reviewed by the group’s external auditors.